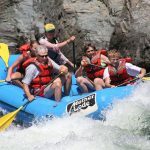 First timers, weekend warriors, and families alike have made the South Fork of the American River one of the most popular rivers in North America. 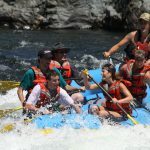 You get just the right mix of all the things people love about California whitewater rafting – exciting rapids, beautiful scenery, interesting history and a location close to the San Francisco Bay Area, Lake Tahoe and Sacramento. The South Fork American River truly does offer something for everyone. 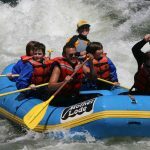 Depending on what suits your fancy, the South Fork offers half day river trips, full day river trips and even overnight river trip options. 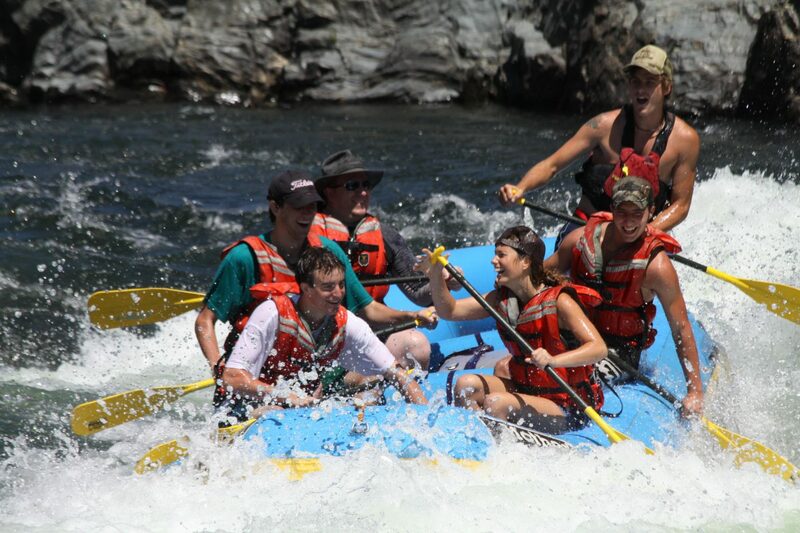 Browse through all of our South Fork rafting trips to determine which trip best fits your style of adventure. 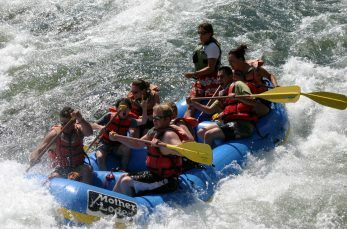 Action on this stretch of river starts immediately with Meatgrinder, the longest, most technical rapid on the South Fork American River. 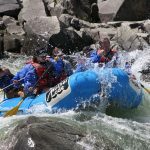 Continuing through the canyon Class III rapids until the river mellows to a fun, relaxing float through the historic Marshall Gold Discovery State Historic Park. 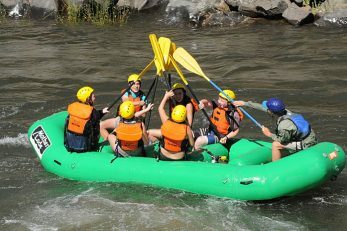 During this section you can have a chance to learn to guide the raft, swim in the river or just enjoy the conversation with your raft-mates. Chili Bar is a morning trip and we are usually off the river by mid-afternoon. Minimum age is 8 years old. 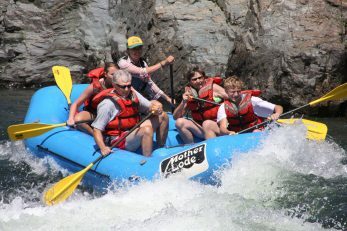 Unlike the Chili Bar Run, the Gorge Run begins with about an hour of mellow Class II rapids. 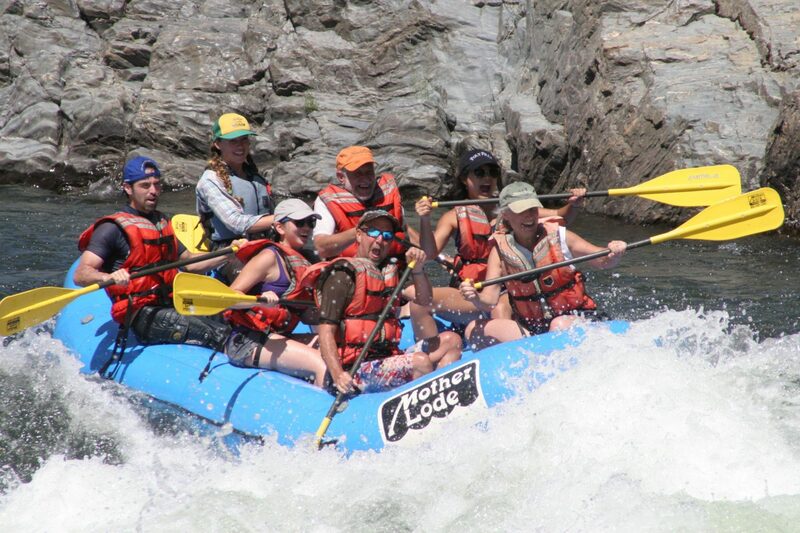 This enables paddlers to hone their paddling skills and grow accustomed to being on the river. 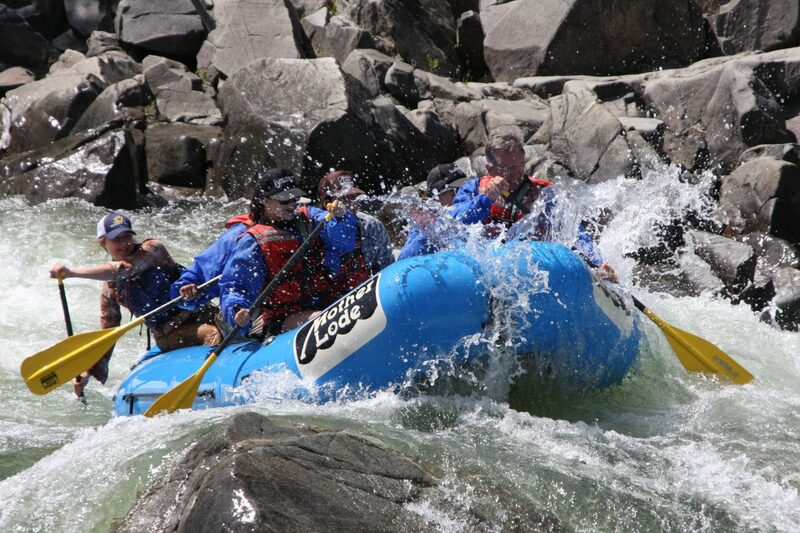 As the trip continues you might begin to hear the sound of the bigger rapids downstream. 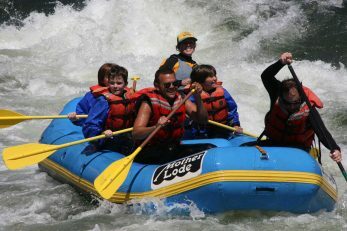 The river canyon narrows into the granite-walled ‘Gorge’ where guests will experience a series of continuous Class III rapids including Satan’s Cesspool and Hospital Bar! Your day is finished when you reach Folsom Lake, where our shuttles will greet you with a cold beverage and a ride back to the River Center. Minimum age is 8 years old. 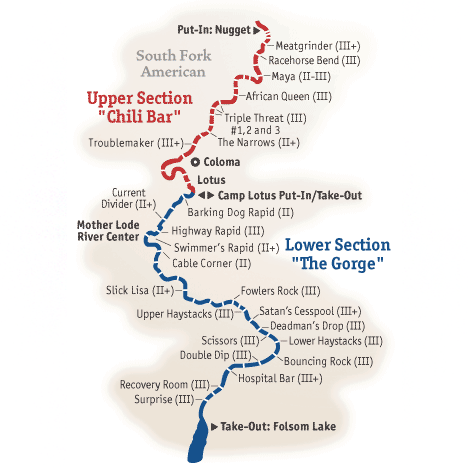 Combine the Chili Bar and Gorge runs and you have done the Full River! This lengthy 21-mile day is the most California whitewater rafting bang for your buck, but not for the faint of heart! 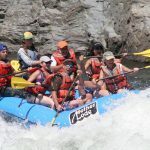 You will paddle the action-packed 10+ miles of the Chili Bar whitewater rapids, stopping at the River Center to rest, refuel, and recharge with a hearty lunch. 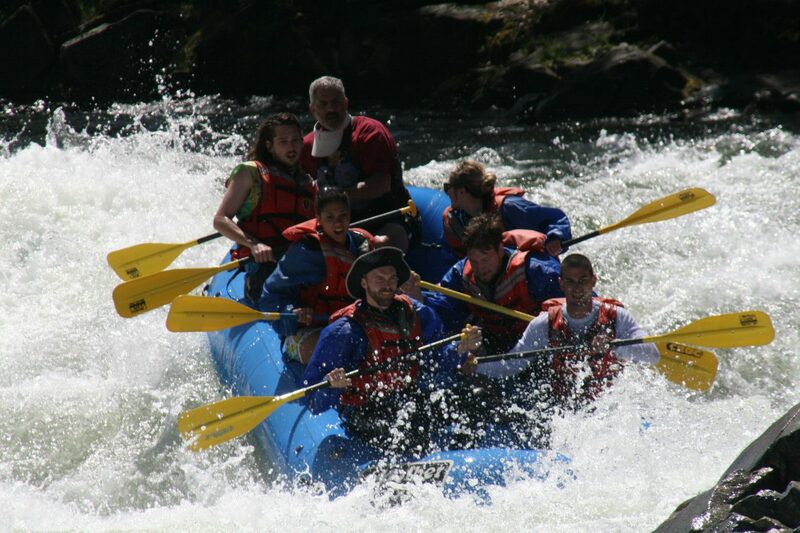 Then you hop back in the boat and continue with the exhilarating whitewater of the Gorge! Minimum age is 8 years old. 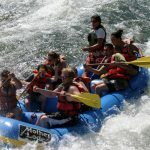 Not looking for a full whitewater rapid trip but still want to enjoy being on the South Fork of the American River? Our C2G Float Trip is the perfect experience for you! 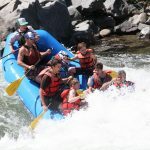 This two hour trip has class I-II rapids and offers loads of opportunities to swim, play, and take in the beauty of the river. Minimum age is 8 years old. 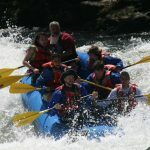 Perfect for those with limited time and looking to get their whitewater fix. Enjoy a shorter rafting trip focused on whitewater excitement. These wonderful express trips last approximately four hours, including shuttle time. Minimum age is 8 years old. Requirements: Guests must have swimming ability. 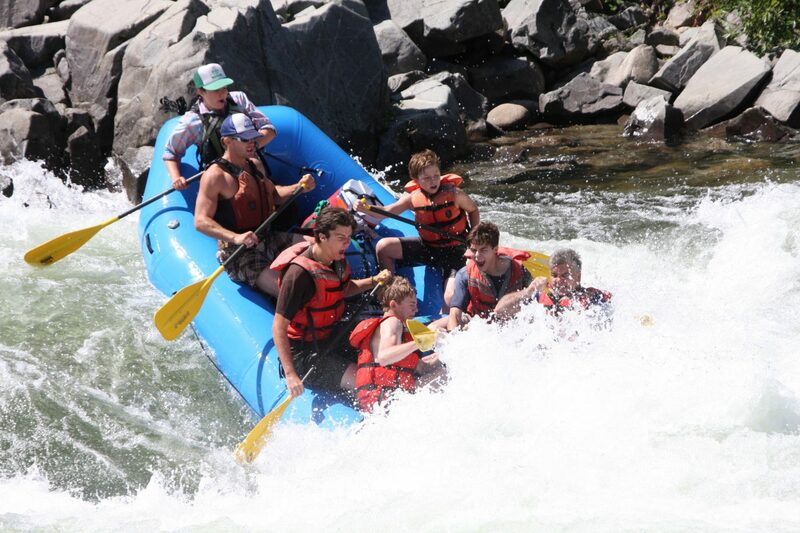 We recommend booking South Fork Trips with High Ropes: Half Day or Overnight Camping. You can also check out some of our Package Deals.